Then I could see that person slapping me for that. I wish I were the security guard reading these. I would weep too. Oh no, I just spotted something I missed earlier. 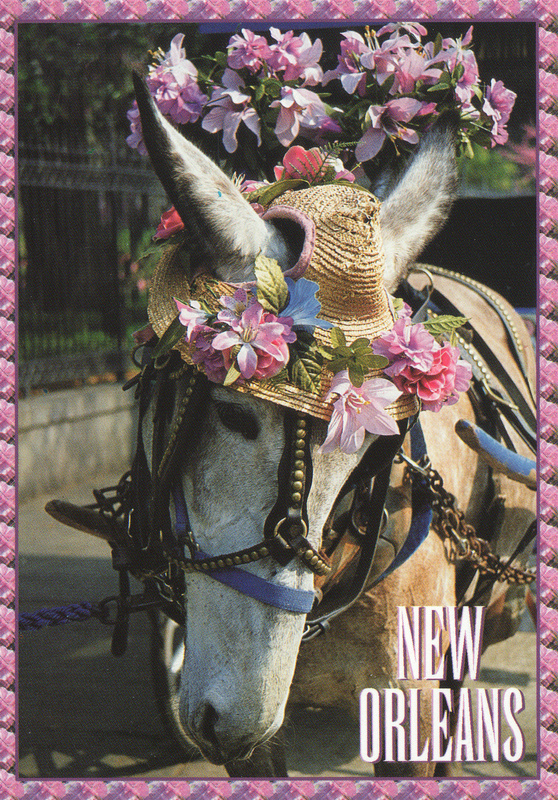 The postcard is a pic of a **mule** not a horse. Maybe a very alert security guard spotted it too so didn’t take it seriously? Or did you do that on purpose? 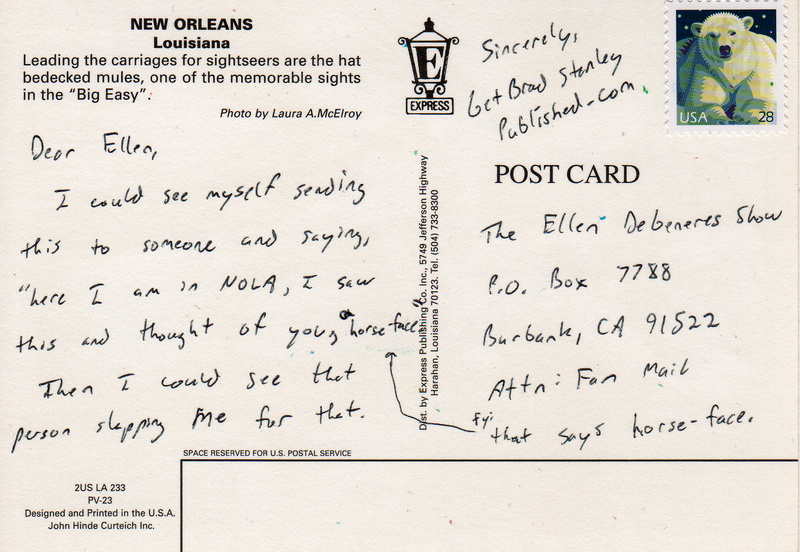 I’m feeling pretty positive about this postcard. I know if you sent it to me, I’d drop everything and at least contact you to see why you called me horse face. Then again I’m not famous. Waiiiiit a minute. Would it be you contacting me or your real self? I like to think there’s a very weird security guard reading all of these, and weeping over them. Why weeping? Why not?